Russia may see the advantage of having a powerful backer in China but it is making its ASEAN allies look for alternate alliances. 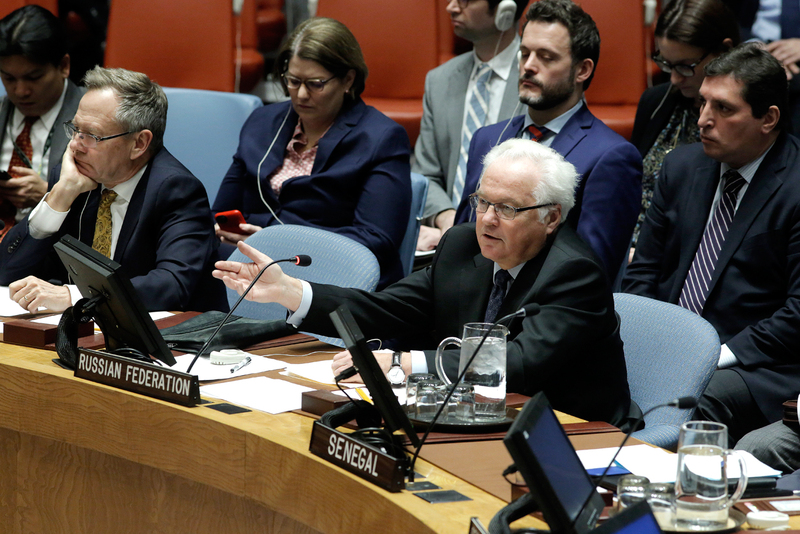 On Dec. 6, Russia and China jointly vetoed a UN resolution calling for truce in the Syrian city of Aleppo. Only a few months back when China had abstained in a similar vote, Western commentators were falling off their seats in excitement as they declared Beijing was sending a strong signal to President Vladimir Putin. China and Russia are engaged in a classic game of ‘I scratch your back, you scratch mine.’ Beijing is backing Russia in Syria and Ukraine, and in return it expects Moscow’s support in its multiple disputes in the South China Sea. At the very least, it expects Russia to remain neutral in its dealings with Asia. In May 2014 China and Russia held exercises in European waters for the first time in a show of solidarity after Moscow reclaimed Crimea from Ukraine. Their joint naval drills in the South China Sea – the epicenter of regional territorial disputes – in September 2016 had raised eyebrows about the nature of China-Russian ties. The Aleppo veto makes it abundantly clear that the two countries are acting in unison in all theaters worldwide. If earlier there was ambiguity about the nature of their “semi-alliance”, all doubts are now dissipated. The upshot: several Asian countries will have to re-calibrate their ties with Russia. For, the impression gaining ground regionally is that Russia’s pivot to Asia is actually a pivot to China. In order to relieve U.S. pressure in Syria and Ukraine, Moscow has accepted Beijing’s leadership. While the China-Russia tango affects everybody in the region, the nations directly impacted are Vietnam, Malaysia and Indonesia – not coincidentally major buyers of Russian military equipment. All three will need some re-assurance from Moscow that it won’t abandon them at Beijing’s bidding. However, Russia’s newfound neutrality – enforced by its China syndrome – hasn’t exactly endeared itself to these nations, especially since Moscow was viewed as a balancing power amidst the U.S.-China rivalry. Russia’s view on the South China Sea is that the UN Convention on the Law of the Sea should be followed. At the same time, it does not support the internationalization of the issue. Moscow’s view that non-littoral states – the U.S. evidently – should be kept out from mediating the disputes hasn’t gone down well with ASEAN. However, as Russia moves closer to China, the Vietnamese will hedge too. Sensing an opening, the U.S. has dropped the decades-long arms embargo and gone on a charm offensive. Despite being strongly wooed by the Americans, for the foreseeable future Vietnam is not going to be exclusively in anyone’s camp. “Vietnam, similar to India, realizes that the best way to maintain strategic autonomy is to pursue a truly multi-vectored foreign policy strategy,” adds Shines. Other members of the ASEAN group wouldn’t have dramatically different views of Russia’s China connection. Currently, Russian defense companies are the players to watch in the cash-rich region. Russian weapons – such as ultra quiet submarines and land attack cruise missiles – are ideally suited for South East Asia’s maritime environment. The ASEAN as well as the larger Asia-Pacific regions are among the world’s most vibrant economic hotspots. Asian countries are also looking at modernizing their armed forces, presenting Russia with a ready market with plenty of goodwill. However, Russian neutrality will be construed as benign only if China remains tame. The moment Beijing starts posturing aggressively, moving warships and planes around, building illegal structures in the disputed islands, Moscow will be seen as complicit. But for the moment, neutrality is Russia’s only option.